Lagoon 620 – My Destiny is the ultimate catamaran choice that combines a superb sailing with comfort one would expect to find only on a luxury motor yacht. Comfort and safety aboard are emphasized by the wide side decks and integrated hatchways which make you feel really relaxed while moving around the exterior. Huge windows allow plenty of sun light and provide a great sense of space making every start to a luxury sailing holiday a perfect one. Stipe is an experienced captain with more than 10 years of professional experience and extensive knowledge of the Adriatic and Mediterranean Sea. With a keen passion for the outdoors and sailing, Stipe always enjoyed racing and over the past few years has been competing in various regattas organized in Croatia with great success. He will guide you through picturesque islands, hidden bays, amazing beaches and numerous attractive destinations along the coast always ensuring that all of your needs and wants are met. When he is not sailing he enjoys living an active lifestyle and has an interest in motorcycling, diving, kite surfing, water sports and snowboarding. 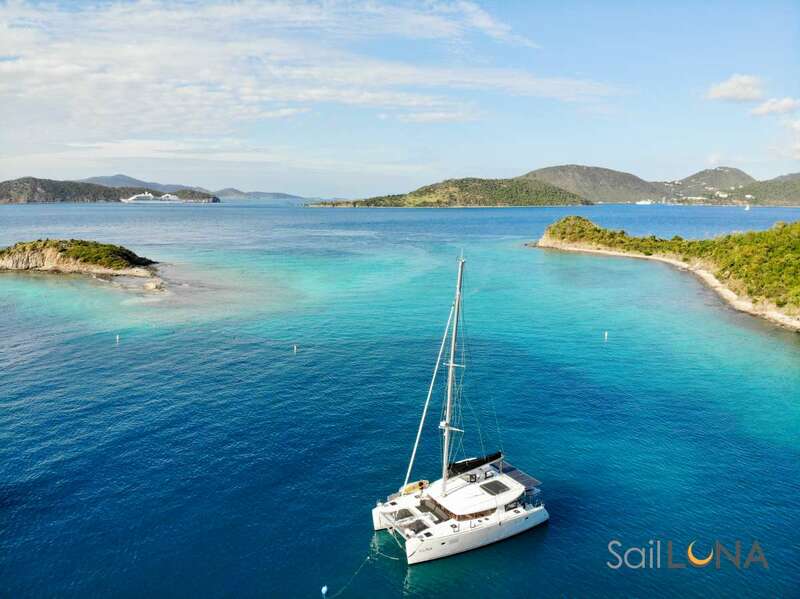 Attentive to details, communicative and well organized, Stipe will make shore you enjoy your sailing holiday every step of the way and feel completely safe aboard. Send us an inquiry to get specific pricing for My Destiny. Jehad stayed at My Destiny 5-12.08.2017. Words cannot express our heartfelt gratitude to both Teo Fras and Zeljana Duplancic for making our trip a memory of a lifetime. It was fabulous from beginning to end! From the initial interaction via email for planning our destinations, Teo was extremely helpful in helping ensure we didn´t try to do too much or miss any of the most memorable locations. We sent him a list of destination and he provided great feedback on what would be reasonable given the length of our trip. He was very articulate in explaining the trade-offs in terms of time spent sailing to the destination vs time spent at an island enjoying the beautifully warm waters and culture of the village/city. We arrived with a tentative itinerary but planned each day every morning as there was a dependency on the weather and winds. Teo was a very clear communicator in helping us make the best decisions each day by explaining the weather, wind and time required to sail. He was very accommodating in every way to ensure we enjoyed our trip and saw many of the places we had listed. Zeljana was absolutely fabulous. She was extremely accommodating to our food and drink choices. She was always very friendly, polite and helpful with every aspect of being our hostess. We found one of the highlights of the trip the meals which she prepared for us. We actually posted each meal on our social media accounts as they were absolutely delicious and perfect for the weather and our appetites. Additionally, throughout the entire trip, she was always very attentive with providing drinks, water, snacks and meeting our different needs. She cleaned our cabins every morning, did laundry, re-stocked the water/beer in the fridges, and ensured the common areas were always, clean, neat and tidy. She is extremely dedicated to ensuring we had whatever we wanted when requested and even before we requested. She was one of the main reasons our trip was so memorable. We cannot express enough gratitude and appreciation to both Teo and Zeljana as they answered our many questions about Croatia from the topography, geography, to the history and culture. They were so friendly, accommodating and instrumental in ensuring we had a memorable trip and extremely positive experience. They arranged wine tasting trips, biking trips, restaurant recommendations and reservations, massage appointments, shipping estimates, postcard stamps and mailing, souvenir recommendations, pick-up and drop off arrangements to/from the airport, transport on each island, etc. They couldn´t have been more helpful and thoughtful! They are extremely hard working and dedicated! In fact, we are all thinking of returning next year to see some of the islands/cities which we could not fit into this trip. We will definitely request both Teo and Zeljana as our captain and hostess for this trip. We are also recommending both cata sailing and Teo and Zeljana to our friends and colleagues as they have also expressed interest in visiting Croatia after seeing all of our social media posts, pictures and videos. They are truly ambassadors for your company. Cette nouvelle organisation à 3 membres d´équipage fonctionne très bien ; chacun parfaitement dans son rôle ; Ivana toujours aussi gentille et plus à la cuisine (excellente), Maya à l´entretien du bateau, très bonne à la manœuvre et adorable avec les enfants , et Davor skipper Hyper pro et avec le sourire , bref un super moment que je vais essayer de renouveler en 2017 sur la partie Nord de la Croatie (Losinj à Split par exemple), avec le même équipage. Encore Merci pour tout ! We currently don't have a sample menu for My Destiny. Please inquire for more information.